Can you tell where the SMP ends and his natural shaved hair starts? All photos on this site depict actual NHI patients and are property of NHI. 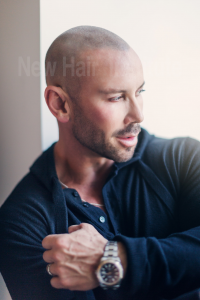 Meet past clients & see their Scalp MicroPigmentation (SMP) or hair transplant results first hand! Watch a live procedure. Get a free private consultation. 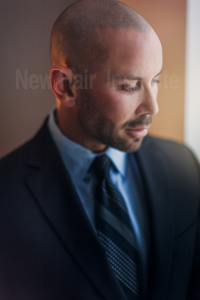 A daily journal designed to educates the public on hair loss topics based on personal experience and opinions from Dr. William Rassman and contributing physician editors. Will SMP Cause Hair Loss? 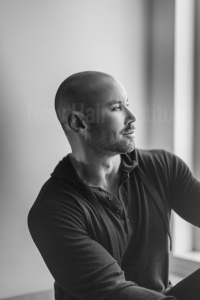 Why Would a Balding 19 Year Old Want Scalp Micropigmentation (SMP) And Not Propecia? Can I Go To My Local Hair Transplant Doc for SMP? © 1996 - 2019 New Hair Institute Medical Group, APC. All Rights Reserved.